Silhouette vector graphics of a rat. Dirty animal with very long curved tail. Messy parts on fur, back and legs, long sharp teeth and claws. 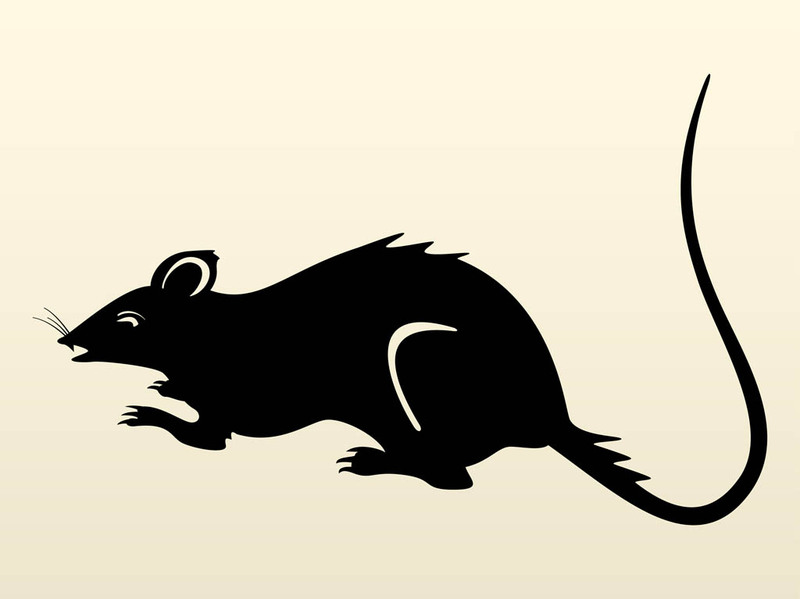 Free vector graphics of a dirty rodent to create animals, pests, stray animals, diseases and contagion visuals. Rat for stickers and decals. Tags: Contagious, Dirty, Nature, Rat, Rodent, Sewers, Stray Animal.